This is the latest Marty Singer novel, and it just came out. I grabbed it right away. 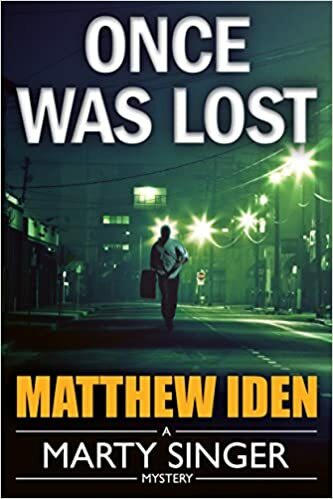 I’m enjoying this series by Matthew Iden, and Once Was Lost doesn’t disappoint. Marty Singer, ex-Washington DC cop and cancer survivor, gets asked for a favor by his adopted daughter, Amanda. She works at a women’s shelter, and a guy who’s been doing handyman work there needs serious help. He was a low-level gangster, but he decided to testify against his boss, who’s also his uncle. Then he was betrayed, and he barely got away alive with his son when his police protectors were murdered. Now he’s had enough of gangsters and cops. He wants to run away and disappear. Can Marty help him? Can he keep the father and son safe from both the crooks and a (possibly) corrupt US marshal? Well, it’s not easy. And Marty doesn’t much like his new “client,” Tommy Donlan, who’s arrogant, whiny, and ungrateful. But his kid is nice, and Tommy’s genuinely devoted to him. So Marty, along with Amanda, his girlfriend, and a computer geek buddy, gets to work trying to disappear Tommy. It works. And then there’s a twist, and he needs to find the guy he’s helped to vanish. As always, author Iden writes a tight, gripping tale. A particular excellence of this book is his development of the character of Tommy. Tommy’s very off-putting, but Iden skillfully gives him just enough humanity to make us root for him. It’s interesting that a book called Once Was Lost includes a character named Grace. There’s grace in this story, but also many reversals and surprises. Amazing, you might say. One last Marty Singer novel for now. A new one’s coming out at the end of the month, but you’ll have to wait breathlessly for my review of that one. The Wicked Flee starts with our hero sick in bed, not with the colon cancer he’s been fighting, but with the flu. But when his friend, undercover cop Chuck Rhee, shows up at his door saying his teenage sister has disappeared, Marty gets up and joins him in the hunt. This installment differs from the previous books in jumping between points of view. 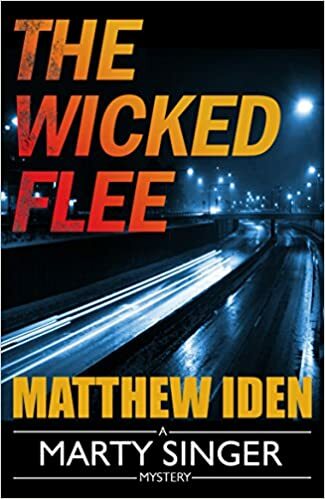 Part of the time we’re with Marty and Chuck in their desperate hunt, part of the time we follow a couple sociopathic human traffickers, and much of the book is seen through the eyes of Sarah Haynesworth, a Maryland state police officer. In fact, Marty is kind of a secondary character this time around. But the writing is excellent, and the tension ratchets up effectively. Recommended. Not too much graphic stuff. 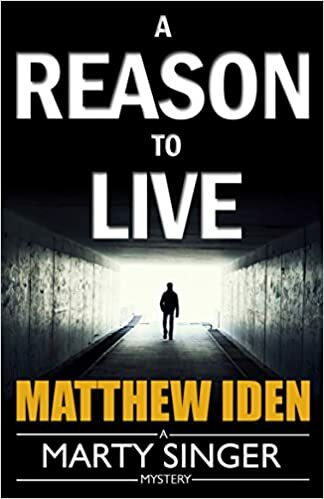 Another Marty Singer novel by Matthew Iden. I liked this one particularly, since it revisited some themes from the first and best novel in the series, A Reason to Live. At the beginning of The Spike, Marty is a witness to the murder of a businesswoman in a DC Metro station. He tries and fails to chase the murderer down, but the victim’s family hires him to find the killer. Prospects of success seem slim. The woman worked in real estate and seemed to have no particular enemies. But as he investigates, Marty learns more than he wants to know about the seedy side of Washington real estate, a world of sweetheart deals where politicians and developers profit and poor people lose their homes. It gets increasingly difficult to tell the good guys from the bad guys. What I liked best about The Spike was that the themes of Marty’s cancer treatment and his relationships return to play a larger part than in the last couple stories. The theme of politics shows up this time around, which worried me (author Iten doesn’t say much about politics but I suspect his are to the left of mine), but I think it was handled pretty evenhandedly. The only corrupt politician whose party is mentioned is Republican, but on the other hand the majority of the political sleazebags are Washington, DC civic officials – and we all know what party those people would be. So I happily recommend The Spike to the reader. Cautions for the usual. Another day, another Marty Singer book by Matthew Iden. I’m zipping through them pretty fast. I expect I’ll miss them when I’ve run out. One Right Thing begins with a seemingly irrational act on the part of Marty Singer, retired Washington, D.C. cop and cancer survivor. He’s driving down a Virginia highway when he sees a billboard with a man’s picture on it. The message says that the man, J. D. Hope, was murdered, and offers a reward for clues. Marty turns his car around and heads to the town where the murder happened. He’s not playing knight errant, righting wrongs from the back of a metaphorical white horse. Back when he was a detective, Marty helped convict J.D. Hope of a crime he probably didn’t commit. His partner planted evidence, and Marty suspected but let it pass. Hope was a career criminal, after all, and was bound to go to prison sooner or later. But he’s ashamed. In the man’s town, Marty clashes with a strangely passive local police department as he uncovers a ring of crystal meth producers. J.D. Hope, he learns, was making an attempt at redemption when he died, and Marty has his own redemption to pursue. 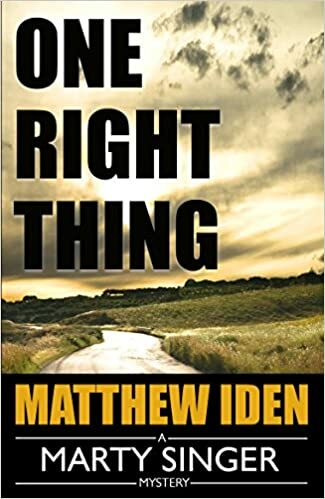 One Right Thing is an excellent mystery, well written, with a solid moral center. Recommended. Cautions for language. The violence isn’t too extreme. 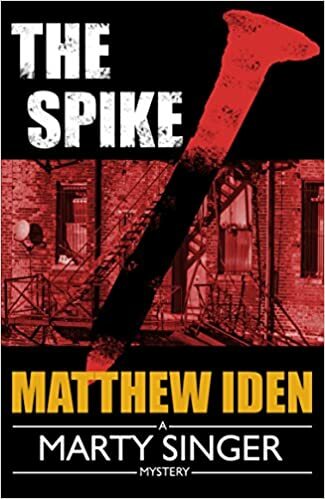 This is the second in the Marty Singer mystery series by Matthew Iden. I didn’t love Blueblood as much as the first book, A Reason to Live, but it gave full value for money. Marty Singer, as you may recall from my previous review, is a retired Washington D.C. cop, going through chemotherapy for colon cancer. He has now semi-adopted a young woman who was involved in two of his cases, and she’s helping him open his heart to new experiences and attitudes. Though he’s physically weaker, his life is suddenly richer than it’s been in a long time. 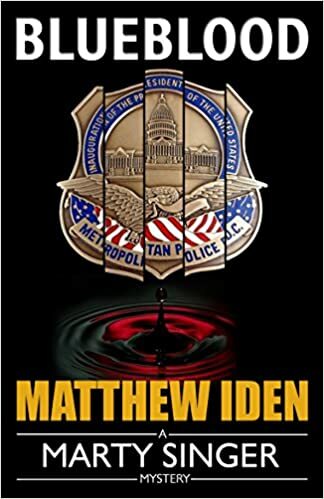 In Blueblood, he’s approached by a police detective involved in an inter-departmental task force, investigating drug crimes in the various, often overlapping, jurisdictions around Washington. Several men have been tortured and murdered recently, and what the public doesn’t know is that they were all undercover police officers. He thinks that Marty, with his amateur status, might be able to turn something up without tipping off possible moles in the forces. Marty starts talking to people, turning over evidence the police already have. What he ultimately discovers involves corruption, betrayal, and retribution from directions he never suspected. This is a good detective procedural, with well-drawn characters. Also, author Iden knows how to turn a memorable phrase. My only disappointment is that there was less of the personal rebirth element than we found in the previous book. But that’s almost unavoidable in a series – no character can believably change profoundly again and again. I liked Bluebloods, and recommend it. Cautions for language and some intense situations.